Developers surveyed also indicated in the "State of the Apps Industry" report that they plan to support Android in 2011, with 29 percent saying Google's mobile operating system is the new platform they will embrace next year. 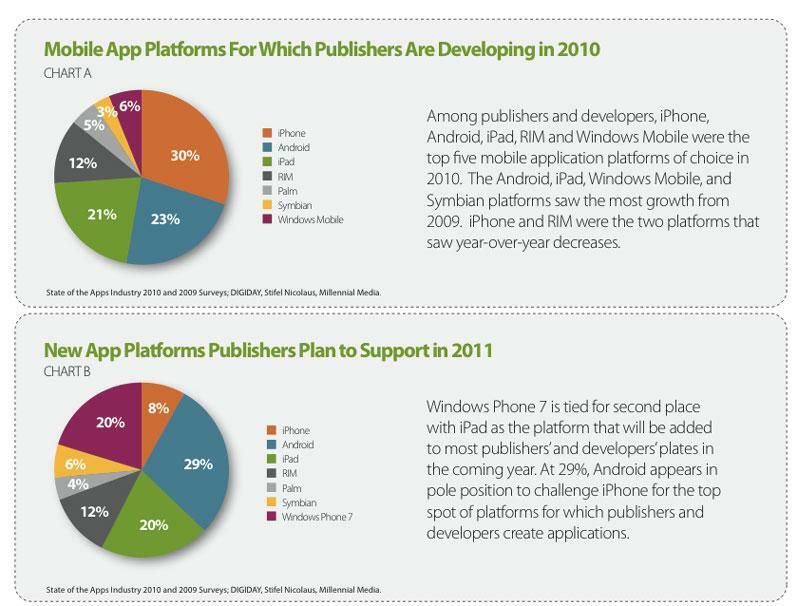 Another 20 percent said they will expand to the iPad, and 20 percent also plan to write software for Windows Phone 7. A small percentage of developers —8 percent —who are not currently writing for the iPhone will do so next year.